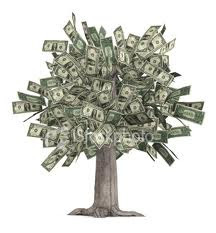 Money may not grow on trees. But under the so-called Michigan Model - after a plan adopted by the University of Michigan - out of state students are an attractive substitute for a money tree because they pay full tuition. UC-Berkeley has already headed in the direction of pulling in more out-of-staters. Now it is reported that UC as a whole is likely to be moving in that direction under a recommendation of the Committee on the Future. Ask any University of California undergrad where he comes from, and the answer - with 94 percent certainty - will be somewhere between San Diego and Crescent City. UC should recruit higher-paying students from out of state over the next five years to take the place of thousands of in-state students, an influential commission that advises the UC regents decided Tuesday in San Francisco. Some UC campuses are already adding out-of-state students, notably UC Berkeley. Its chancellor, Robert Birgeneau, said last week that he wants 20 percent of Berkeley undergrads to be from out of state in four years, up from 11 percent today. The Commission on the Future is eyeing a similar percent for the rest of UC, but did not provide specifics. The commissioners did agree that out-of-state students will have to present academic records higher than the median of local students at each campus they apply to. UC Berkeley Chancellor is spending three million $ on consultants to do the work of his job when the work of the consultants can be done internally by the ethical world class faculty. $3,000,000 that can be spent on students,faculty and additional classes.